This year’s tour gets underway at Grand Army Plaza, a National Historic Landmark at Prospect Park. This year’s 18 mile tour will feature Brooklyn’s southern neighborhoods along the waterfront like Sunset, Bay Ridge, Dyker Heights and Bensonhurst and loops towards the heart of Brooklyn, Kensington and Prospect Park South to end at the Carousel. If this is your first time to Brooklyn by bike don’t worry you can join our feeder ride, leaving from Cadman Plaza near Brooklyn Bridge. Ride will depart promptly at 7:45 am, arriving at Prospect Park 8:05 am. Safety Marshals will be provided to guide you to the GAP. 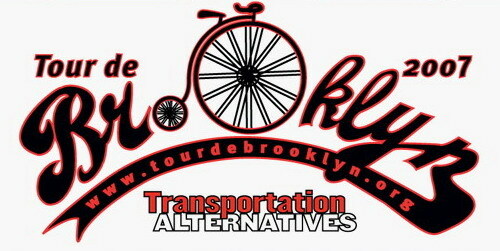 It's a great chance to bicycle all over Brooklyn.